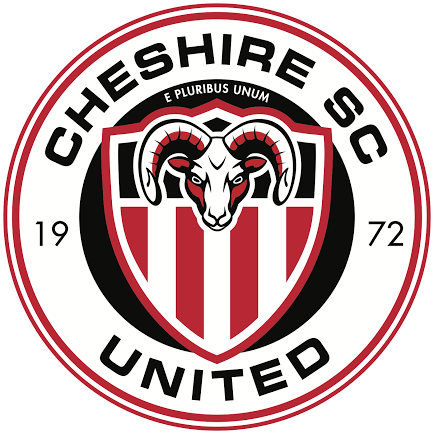 Cheshire SC United is the official premier division of Cheshire Soccer Club out of Cheshire, CT. The program is designed for the serious player who is interested in playing at the High School Varsity, Collegiate, and Professional level. The season is ten-months, beginning with pre-season in late August, weekend games in the fall from September to November, and spring games from April to mid-June. The CSC United teams will be participating in either CJSA sanctioned premier league or the US Club Soccer CCSL sanctioned premier league. Training practices are three times a week which include 1 day of strength, speed, and fitness sessions run by RTS (Ranfone Training Systems) which ensures player peak performance throughout the course of the year. In the winter from December through the end of March the players will train indoors at a club-designated indoor facility. There will be one night on a regular indoor turf surface, and a second night of Futsal Training at local hard surface gymnasium. Depending on age, some teams will also participate at RTS indoor facility for continued sports performance programs. Games will be played at a club-designated indoor league and facility throughout the winter. This indoor training prepares players well for the spring season ahead. Our teams also participate in 2 to 3 tournaments over the course of the year, including (2) in-state and (1) out-of-state, any additional tournaments during the winter time or course of the year are at the discretion of the coaching staff. Acceptance to a team is through tryouts or recommendation. For inquiries to participate with our teams an email can be sent to Durval Pereira Jr., the Director of Coaching, at . You may be asked to attend some training sessions for observation and a decision is at the discretion of the coach. The Cheshire SC policy are for there to be age appropriate teams. However, some players may be asked to play up a year. -Cheshire SC United is a budding premier program which started in 2013. Cheshire SC itself has been operating for almost 50 years. -Cheshire SC United’s main priority is long term developmental process. We strive to challenge players technical ability, while using a unique methodology to challenge their soccer intelligence and understanding of the game. -The methodology originally was introduced in Barcelona, Spain under a group called MBP Sport Networking (Making Better Players, www.iammbp.com). The methodology is derived from the works of the best minds in football around the world. Designed to challenge and implement a playing philosophy which will challenge the players ability to become smarter and better soccer players. -Cheshire SC has a full time coaching staff which operates and runs a full community program from ages 5 to 19. All programs are fully staffed by our professional coaches, which are brought in and educated on the CSC brand of soccer. -Cheshire SC United outreach and pathway program promotes its developed players into the elite programs throughout the state; currently Cheshire SC has promoted US National Pool players, Collegiate Players, and USSD Academy athletes.